there are three cards in the 1978 topps set that are absolute artistic masterpieces. 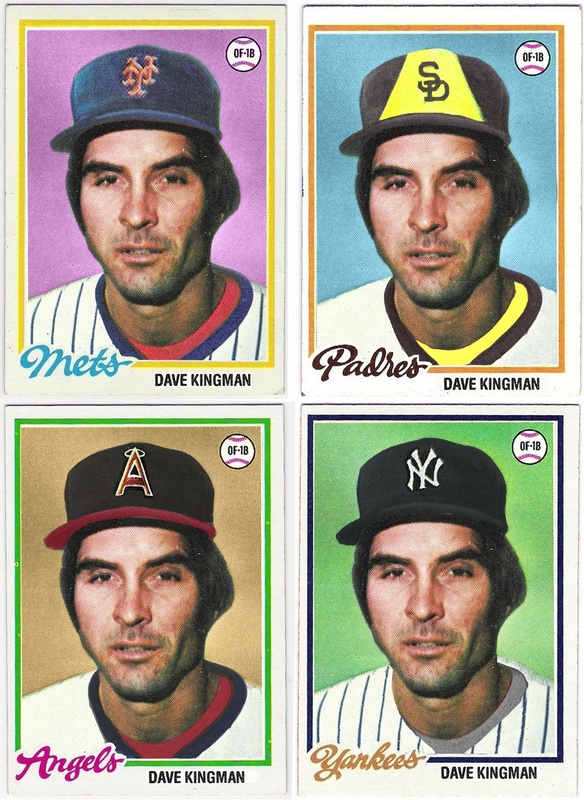 when i was making my 1978 topps burger king dodgers/update set, i tried to pay homage to these works of art with a gerry hannahs card that should have been. it turned out to be most like the kingman card - more based in reality than the minton or the paxton. i'm really confused by the minton card. 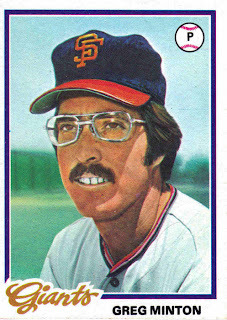 he had been with the giants since 1975, and topps had made a card of him in the 1977 set using an actual photograph, even if there was some airbrushing going on. why they couldn't have used that same photo for his solo card in 1978 is beyond me. minton only appeared in two games during the 1977 season, but that fact, coupled with the lack of a usable photo, apparently wasn't enough to deter topps from keeping minton on the checklist. their determination is our gain, for sure. 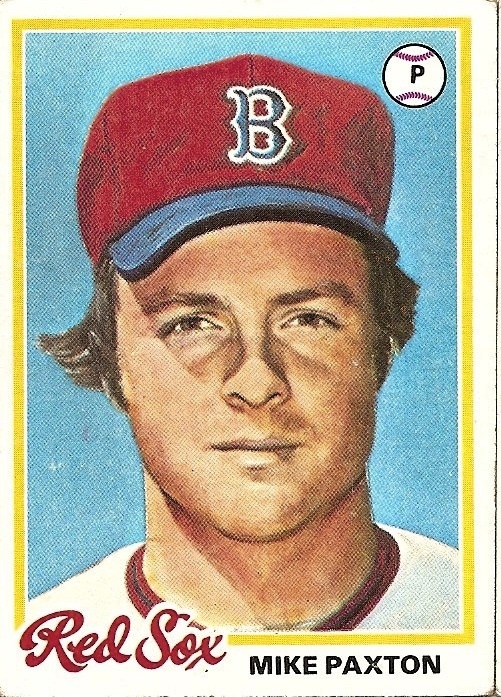 as for paxton, he made his big league debut in 1977 and pitched in 29 games for the red sox. i guess topps couldn't get a photographer to boston. 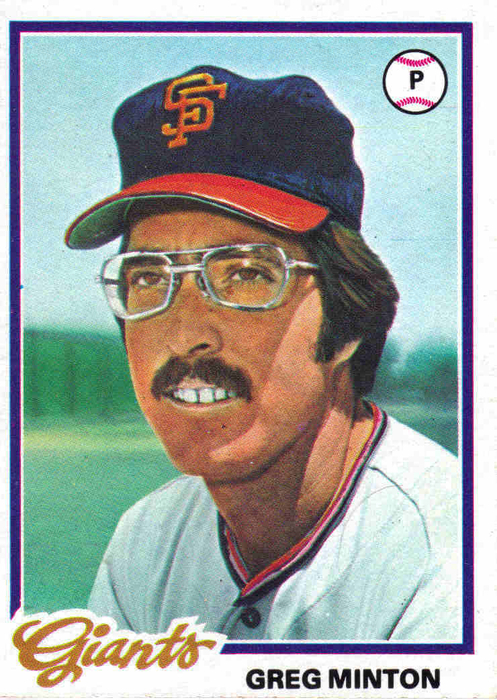 come to think of it, do we really know if that is a painting of mike paxton? or could it be someone from the national portrait gallery with a red sox cap painted over the revolutionary war era wig? 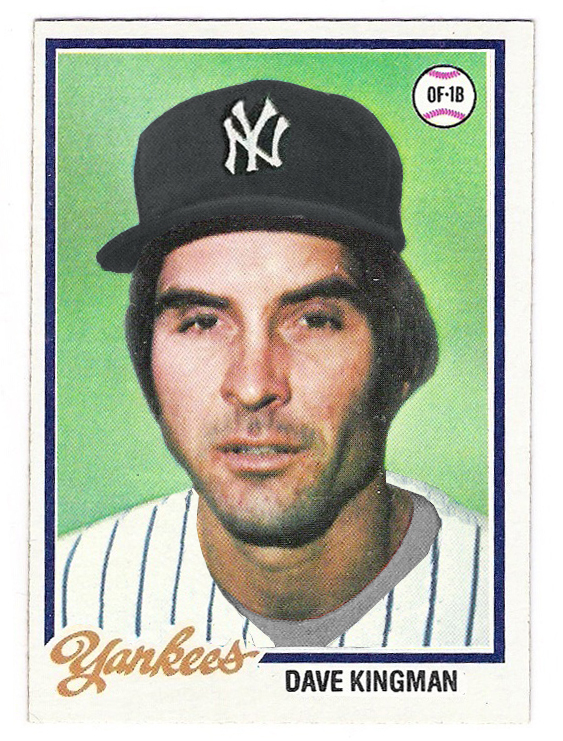 well, actually, we do know that it is mike paxton, because...holy smokes - here's a link to the actual photograph used to inspire the painting. his hat really did look like that! 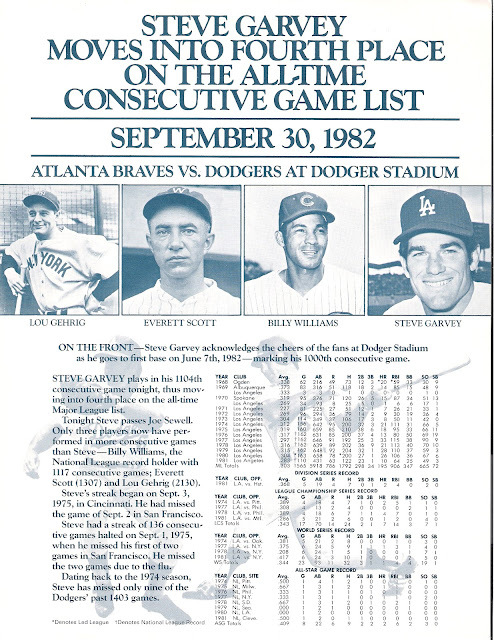 marilyn monroe, campbell soup, and dave kingman. art. 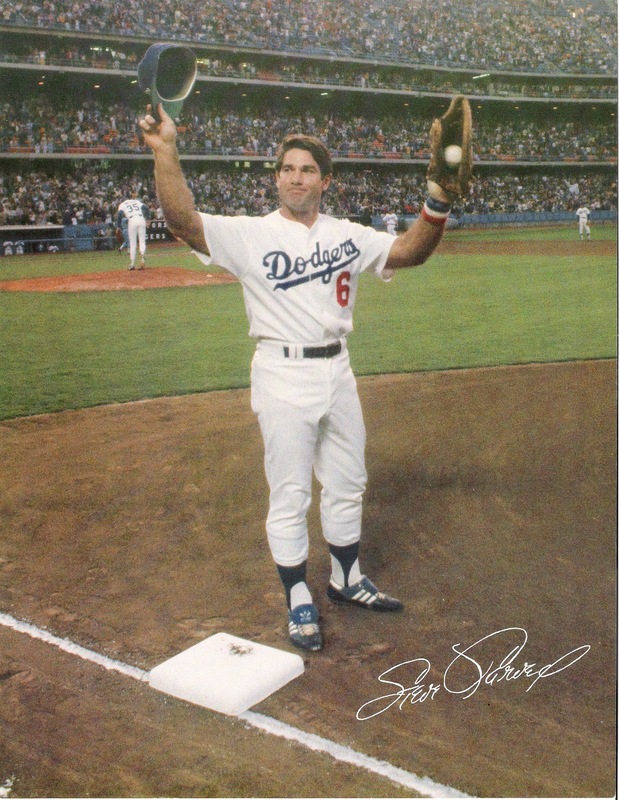 the heir to steve garvey's position signed the card in about a week which is awesome. 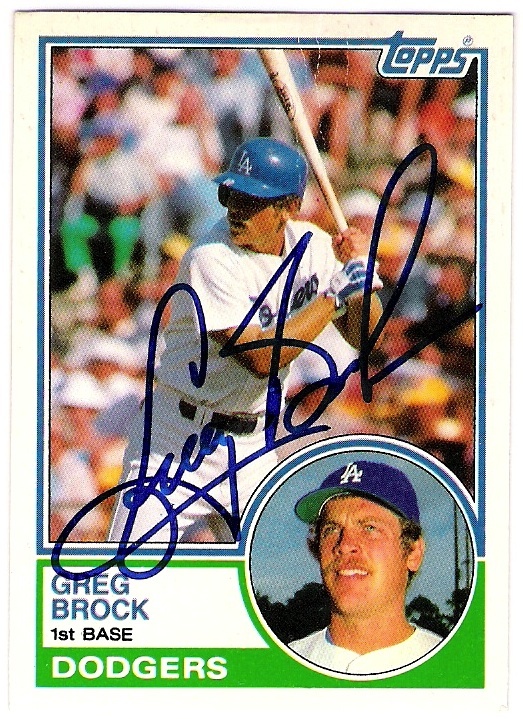 thanks greg! and don't worry - there is a much more interesting post in the hopper for this afternoon. be sure to come back and check it out, if you like art. well, i guess you have to try at least a little bit. 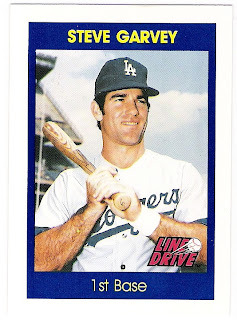 in this case, you would need to develop an ebay rivalry with another steve garvey super collector and then start a blog and trade with him instead. you send him a little 17-card factory team set, and he will send you a big box filled with oddball dodger stuff that you didn't even know existed, plus some cool steve garvey stuff. yes, i traded with curt from 1978, the year it all began. 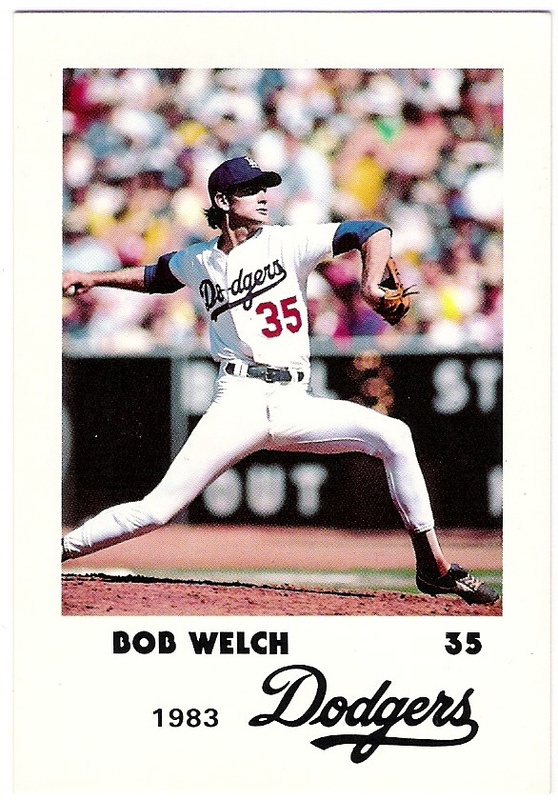 it wasn't the first time he and i had made a trade, but it was likely the most lopsided. 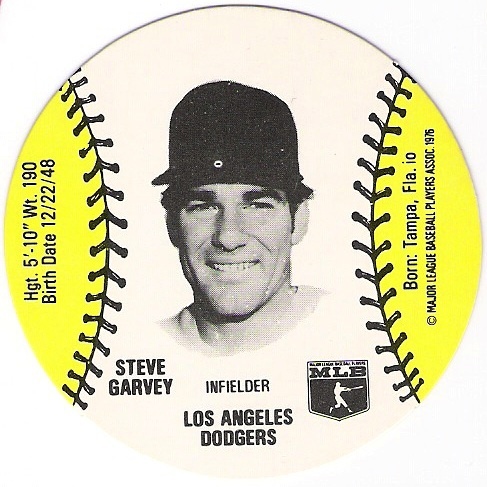 i had asked him for a scan of a steve garvey sga item, and he obliged. he also offered to send me a hard copy of it, and i told him i would send him a 2009 topps dodger factory set in exchange. he didn't mention that he was also going to send a map. from 1970, that is a aaa map of dodger stadium. that is pretty cool. i should have unfolded it and taken a picture of it. it looks so easy on paper - so many freeways. still, heed my advice if you go - plan to get there early. no map will save you from stadium way or the downtown gates. unless you get off the freeway and use the sunset route, but that's only for people in the know. it's all about consecutive game goodness. the photo is from garvey's 1000th consecutive game, but the sga occurred on the occasion of his moving into fourth place all-time with his 1104th consecutive game. of course, garvey went on to pass billy williams in 1983, but he was a padre by then. he played in game number 1118 at dodger stadium, though, and my dad was kind enough to take me to see the game in person. it is still to this day the only time i have received a steve garvey autograph in person. 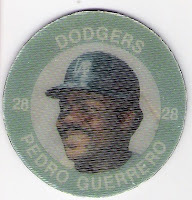 from the 1984 7-11 slurpee coin set. i am glad curt sent this to me. it is much easier to store in the binder than the actual pin back. it's hard to believe that garvey was part of the home run derby held prior to the 1985 all-star game in minneapolis. his slugging days were behind him by then, unfortunately. there really was so much cool stuff in the box. media guides, team issued photos, union oil portraits (from 1962 and 1982), fernando valenzuela perfect attendance certificates, magazines, and more. it was the package that keeps on giving. 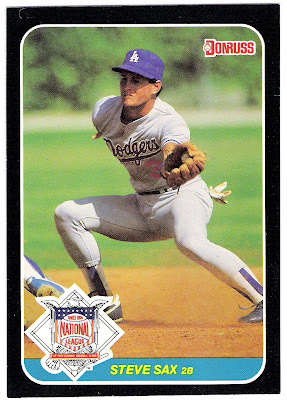 with garvey gone, saxy became my favorite dodger and subject of a pretty good pc, but i never did pick up one of these. now i have one and i hardly even had to try for it. thanks curt! 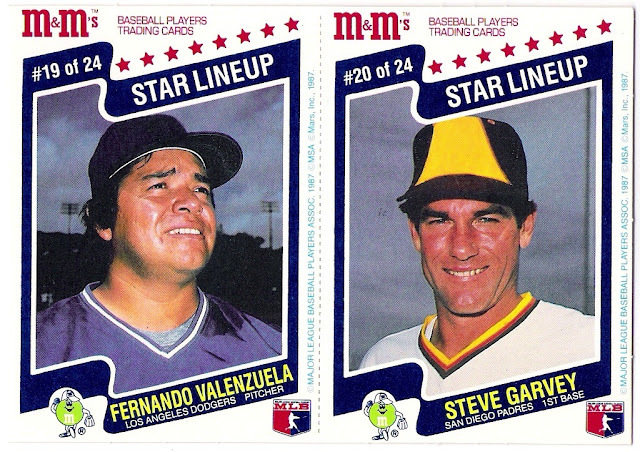 that really was an awesome box of goodness. jamie hoffmann is a dodger double dipper even though he has never appeared in the major leagues for any team other than the dodgers. 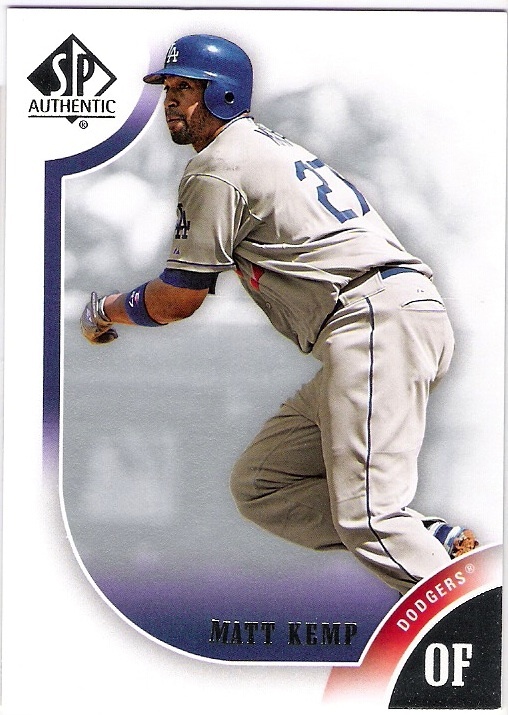 it may seem strange to you that i do not consider the likes of shane victorino or ted lilly or scott proctor to be dodger double dippers because they never appeared in a big league game as a dodger before they were sent to other teams only to eventually return. 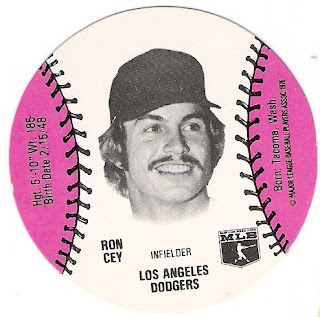 nor do i consider ramon martinez (pedro's brother) or willie crawford or tommy lasorda to be dodger double dippers because they never appeared in a big league game as a dodger after returning to the franchise, yet i do consider someone like denny lewallyn to be a dodger double dipper, even though he did not appear in a major league game for another franchise in between his stints as a dodger. 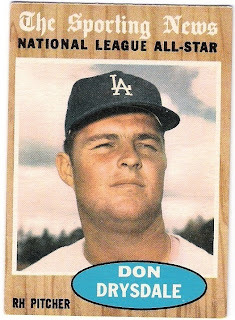 still, he left the organization after appearing in the big leagues as a dodger, and appeared in a major league game as a dodger after returning to the fold. make sense? 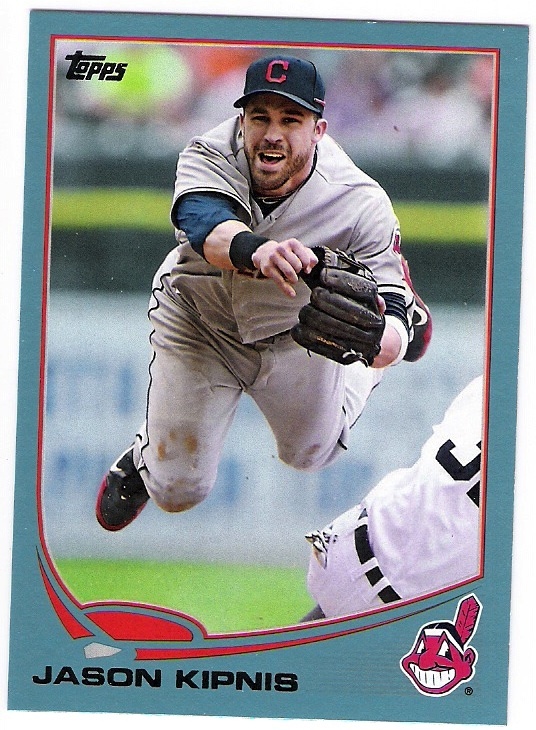 well, such is the case of jamie hoffmann. over the course of 14 games that year, hoffmann went to the plate 24 times and had 4 hits, three of which were for extra bases - two doubles and a home run. he also had 2 sacrifice flies and 7 rbi in total. after the season ended, the washington nationals selected him in the rule 5 draft and immediately sent him to the yankees as the player to be named later in an earlier deal between the two teams. 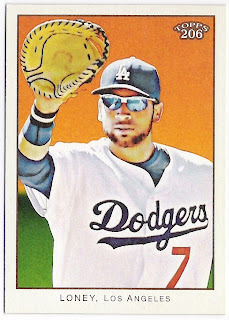 during spring training in 2010, hoffmann was returned to the dodgers by the yankees. 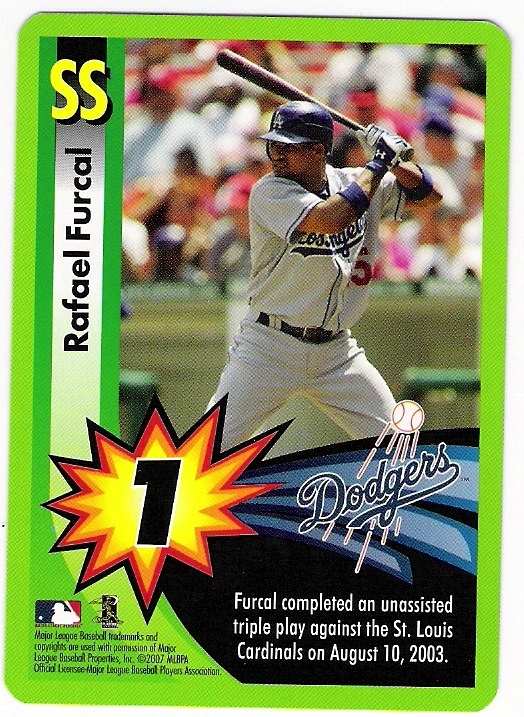 he spent the entire year at aaa albuquerque, hitting .310 with 8 homers and 74 rbi. 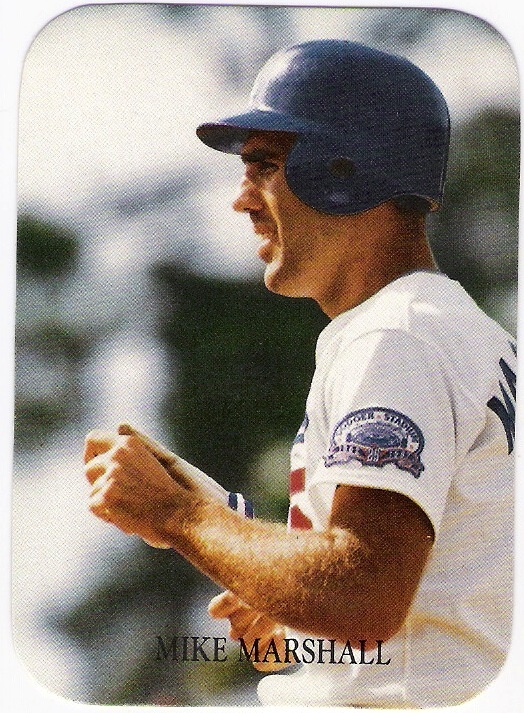 the next year, he was hitting .297 with 22 home runs and 84 rbi, which earned him a callup to the big club. 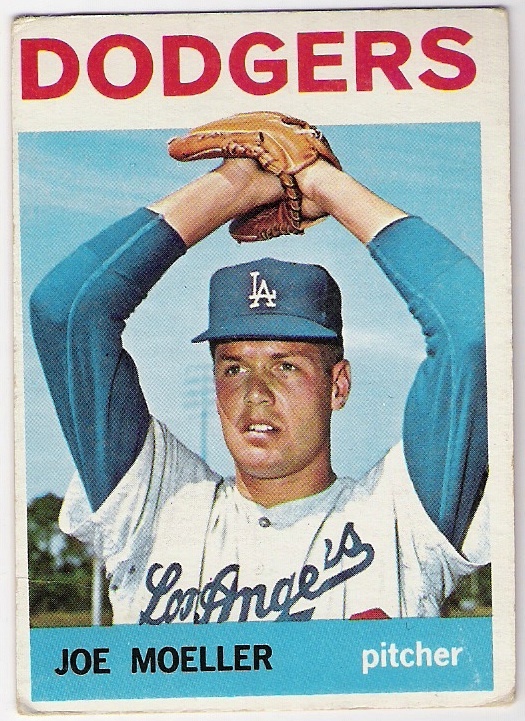 in 2 games with the dodgers, hoffmann was 0 for 4, but he was officially a dodger double dipper in my eyes. since there are no cards of hoffmann as a yankee, and i don't think there have been any cards made for him since 2009, here's a chrome refractor version of the card i showed up top. 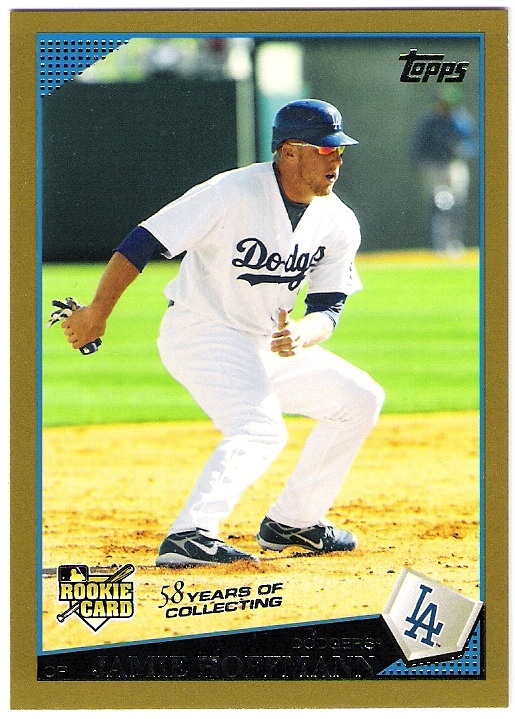 since his return to the dodgers, hoffmann has been selected off of waivers by the rockies (december 2011), signed as a free agent with the orioles (march 2012), and signed as a free agent with the mets (november 2012), but he has yet to resurface in the majors. he's only 28 though, so there's still time for him to join juan castro as the only triple dipper in dodger history. 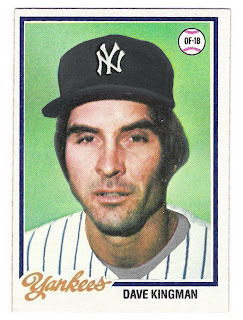 make it happen, ned! 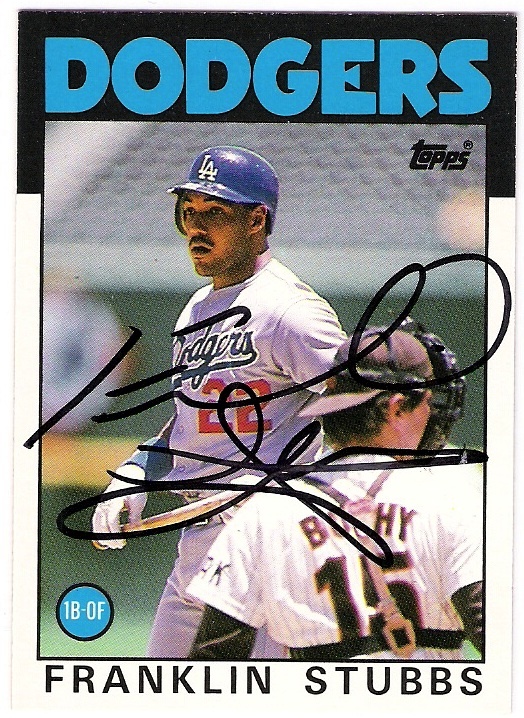 the topps dodger autograph project - updated! a couple of weeks ago, franklin stubbs signed and returned a 1986 topps traded card for me. 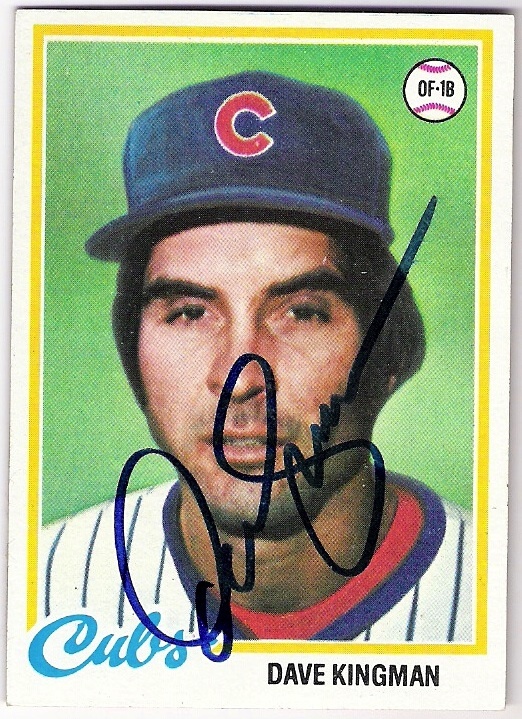 while stubbs has signed for me before, this is the first card from that set that i have received signed. so, it fills a void in the topps dodger autograph project, even though i don't count the traded sets towards the completion of the goal of having (at least) one card signed by a different dodger from every topps flagship set. still, if i had 'em, i listed 'em in the tally. 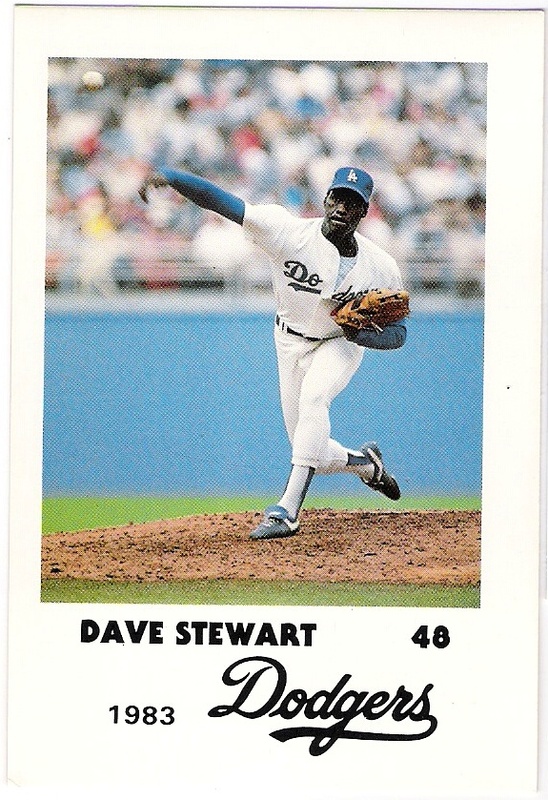 this is kind of an odd card in that stubbs did not switch teams, and was not a rookie in 1986. he debuted in 1984, got cards from topps and fleer in their 1985 flagship sets, and was featured in the 1986 donruss set. 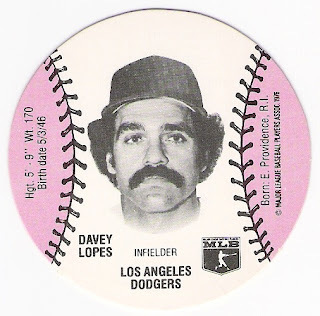 topps left him out of their set that year because he only played in 10 games during the 1985 season. in 1986, however, he was the dodgers' primary left fielder, so they figured he was worth adding to the traded set. 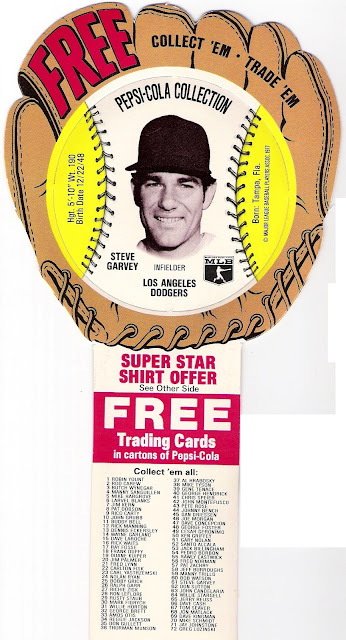 i like the card - it reminds me of the 1979 topps steve garvey card with marc hill behind the plate. here is the updated tally. 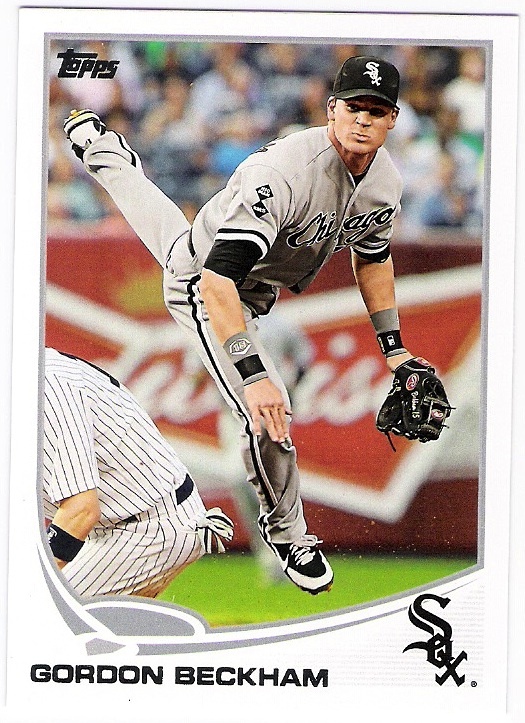 so, it was the junior junkie who answered my call and sent me a 2013 topps gordon beckham card featuring the first dp turn of the year, as far as i knew. 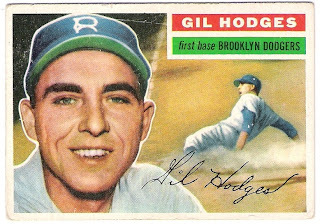 with a horizontal angel, too. 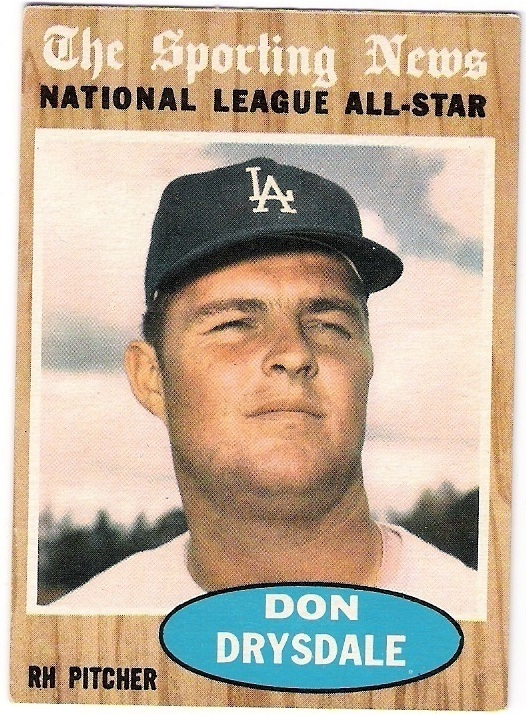 thomas sent me a separate box with a bunch of other dp cards that i will show off at another time. 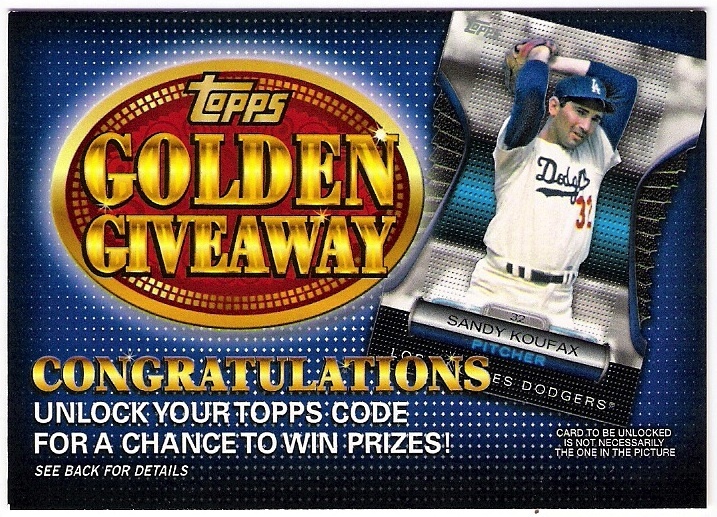 thanks to my participation in crackin wax's case break. 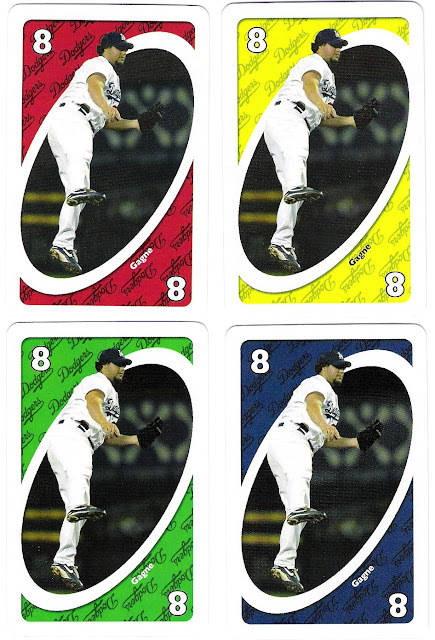 are there any more double play cards in 2013 series one? if so, let me know! 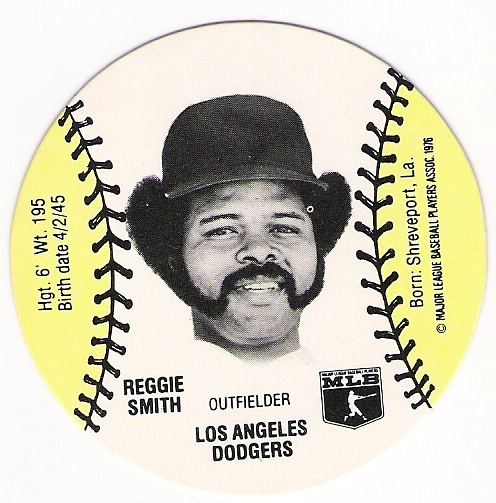 during my recent foray into oddball issues, i picked up a dodger team set of 1978 wiffle ball discs. i don't know why i didn't own these as a kid - i played a ton of wiffle ball and 'over the line' with the neighbors growing up. actually, that is probably why i don't have any - we used the neighbors' equipment. i don't think we ever owned a wiffle ball or bat. anyway, here are the fearsome foursome that were included in the set. 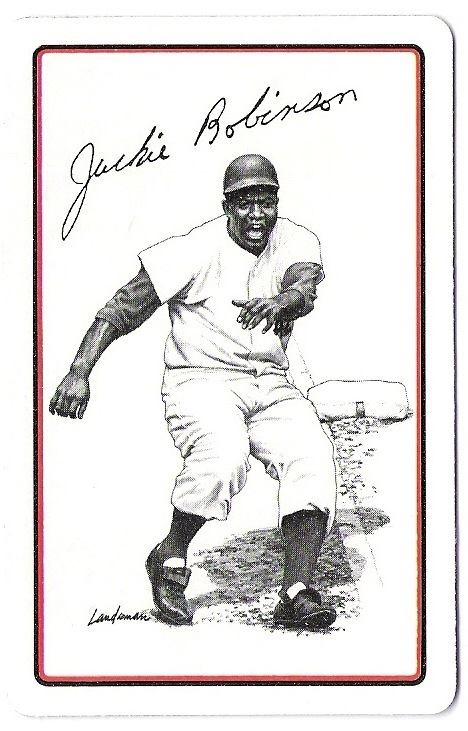 bill russell gets no love. sorry fanboys. these are just some cards that i received from jeroen, the dutch card guy. night owl used some fancy imagery to peak your interest in his post about cards he received from jeroen, but i won't do that here. i will wait for you to return from night owl's post, however. i went to the games at which these sets were given away the first few years. i had a love/hate relationship with the cards - really the only thing i didn't like was the size. 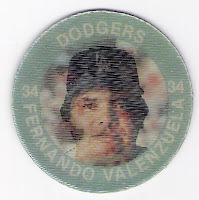 i am always curious how some people have one or two of these lying around. i never considered breaking my sets up, but then again, i am a dodger collector. 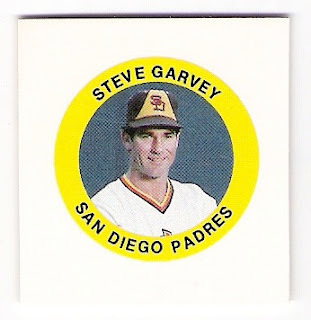 these days, i do have some garvey singles in my garvey pc, but i still have the complete sets, too. 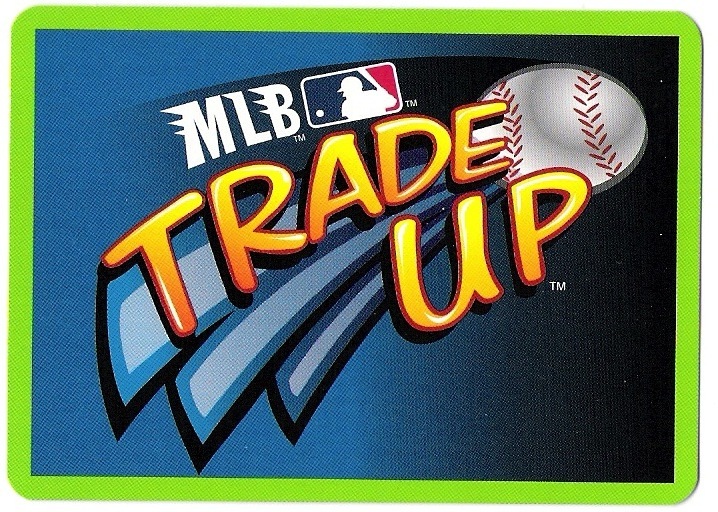 remember when upper deck had a license to feature logos? that was nice. usually. 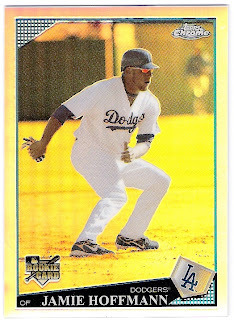 i might have to look for one of those cards on the secondary market. it looks nice and shiny. actually, i'll finish with a link to some photos of the netherlands' female field hockey team. i'm sure james loney understands. i just read an article by ken gurnick stating that steve garvey was diagnosed with prostate cancer last fall. apparently he's doing well now, and has decided to auction off many of his awards, including his 1974 mvp award and 1981 world series ring. 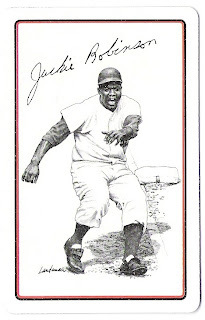 it's nothing special, although it represents another check on the garvey checklist, and fills another spot in the binder. 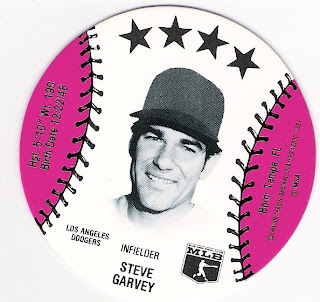 garvey's health and his decision to part with his memorabilia may or may not be directly connected, but even if they aren't we all know there comes a time when those sorts of decisions need to be made. my dad is at that point, and i will get there someday, too. i just hope i am around long enough to be the one to decide how to rid myself of my stuff. it will be interesting to see how the auction goes. if i were a rich man, i just might take a shot at one of the items, but alas, i am not. i'll just keep looking for some oddball cards instead. until it's time to stop. 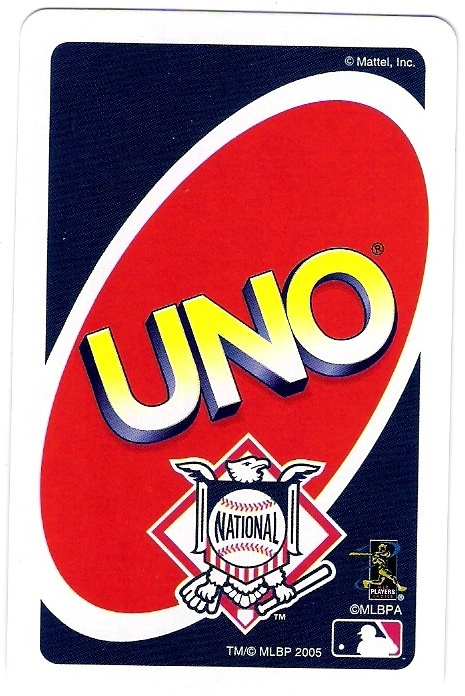 i didn't realize until recently that there was an uno game licensed by mlb. yes, apparently only eric gagne represents the boys in blue in the game. 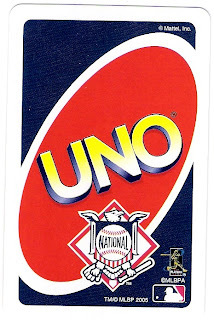 at least he's not a 'draw 4' card. i was aware, of course, of the better known mlb showdown game that has not only individual player cards that are easy to track and identify, but these other cards that may or may not feature players of one's favorite team. 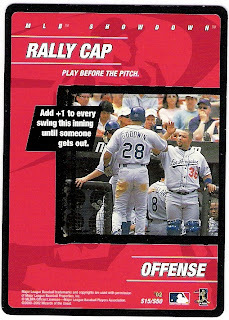 this one features dodgers tom goodwin and angel pena with mark grudzielanek, a bat boy, and maybe even adrian beltre, but the image has nothing to do with the rally cap. a tip of the rally cap, by the way, to all the people out there who catalog and list these types of cards by team. 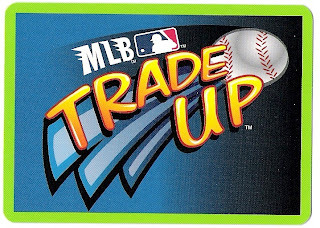 also included in the lot were more of the 2005 topps hot button cards. 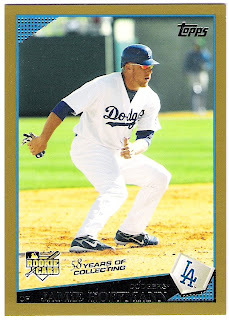 i picked up the jeff kent card a while back, but now he has some company. always a pleasure to find a hee seop choi dodger card. and to find some oddballs that i didn't know existed. 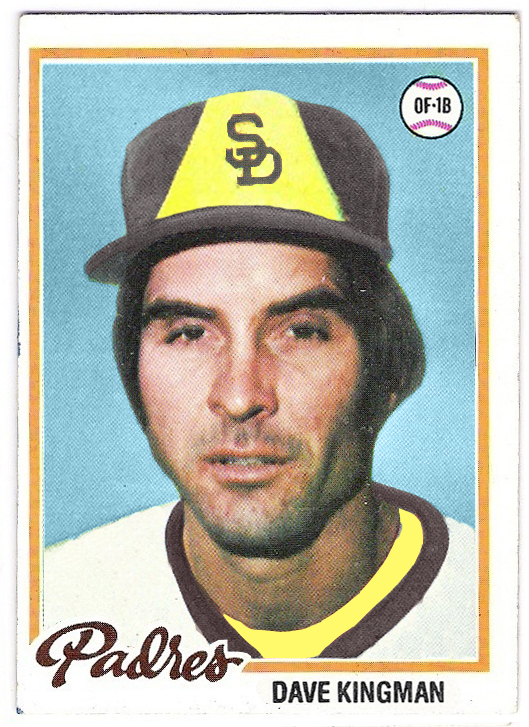 it's been a while since i've been to a card show. 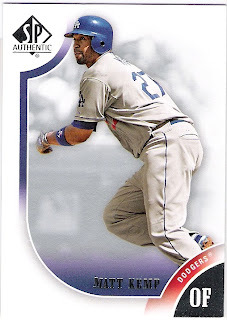 the last time might actually have been when i met up with carl crawford cards at what was a pretty weak show. 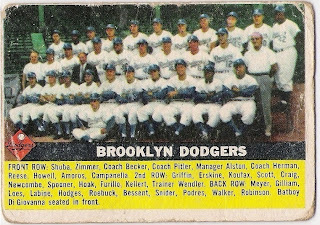 now that i think about it, it was the show that i grabbed the 1955 topps sandy koufax card. 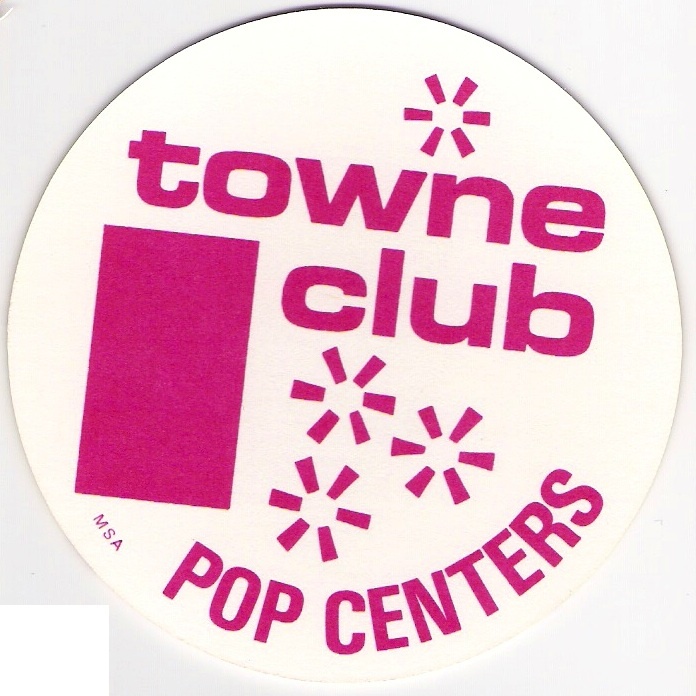 either way, just because i haven't been to a show for while doesn't mean i don't have cards to show from previous visits to one of the monthly gatherings of like minded dealers and collectors. 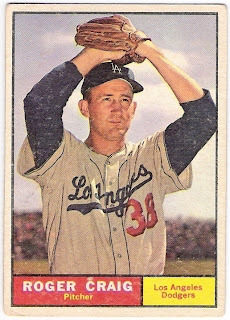 why yes, i was very interested in a cheap version of a 1956 topps dodger team card. 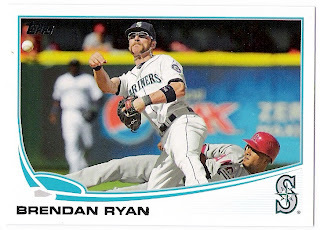 sharp corners aren't going to make me appreciate the card any more than i do already. world champs! craig's card is a high number, which meant it wasn't in the bargain bin. 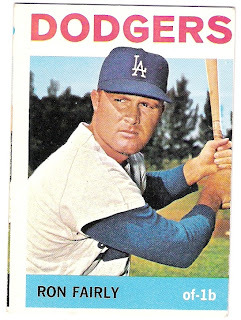 no, it was in the 'half priced' bin which had cards priced well below book further reduced by half. but it was in the bargain bin. 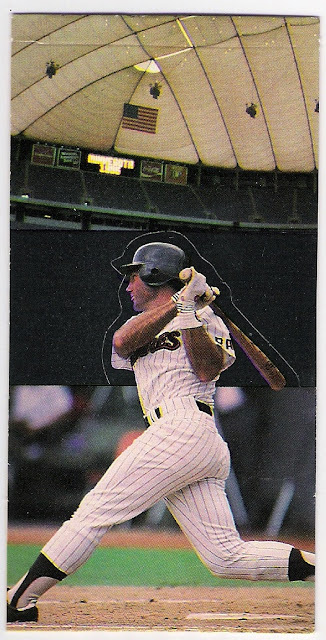 i thought about passing on it since it is miscut, but it was only a buck if i recall correctly. with that card, i have all of the drysdale's issued by topps - from 1957 through 1969, plus his 1963 fleer. 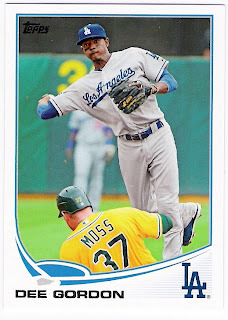 but that's a card for another post.